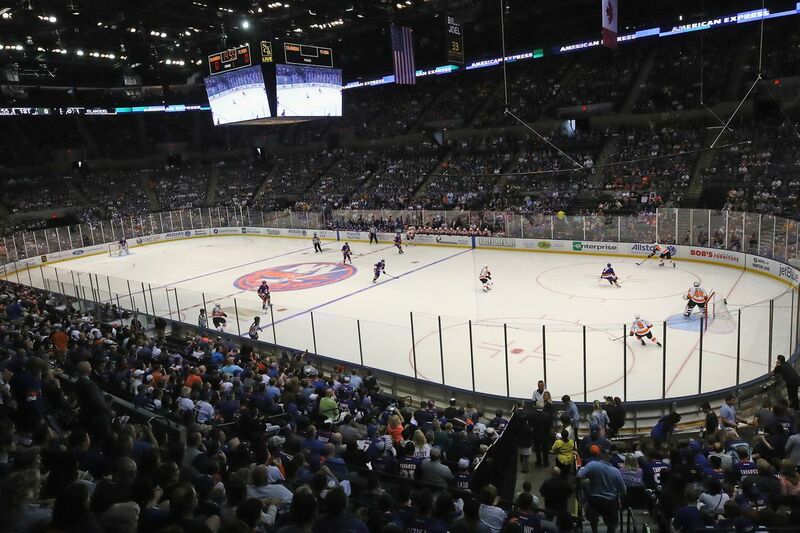 The Islanders will begin playing part of their home games at their old home starting next season. They will split their home schedule between the Nassau Coliseum and the Barclays Center until their new arena in Belmont is complete. So lets take a look at the scoreboard for the newly renovated coliseum and how it compares to Barclays Center, the previous coliseum board, and the rest of the league. The old Coliseum scoreboard had main screens measuring approximately 12 feet wide by 8 feet tall. It has been replaced by video screens measuring 22 feet wide by about 10.5 feet tall. Both pale in comparison to the Barclays Center scoreboard which has video screens measuring 27 feet wide by 16 feet tall. The Barclays Center scoreboard currently has the 14th largest video screens in the league, while the new Nassau Coliseum board would currently rank 28th, beating out Calgary, Carolina, and Arizona, and nearly Nashville. Of course, once the Islanders new home is complete, their new scoreboard will, no doubt, put all three of these to shame. 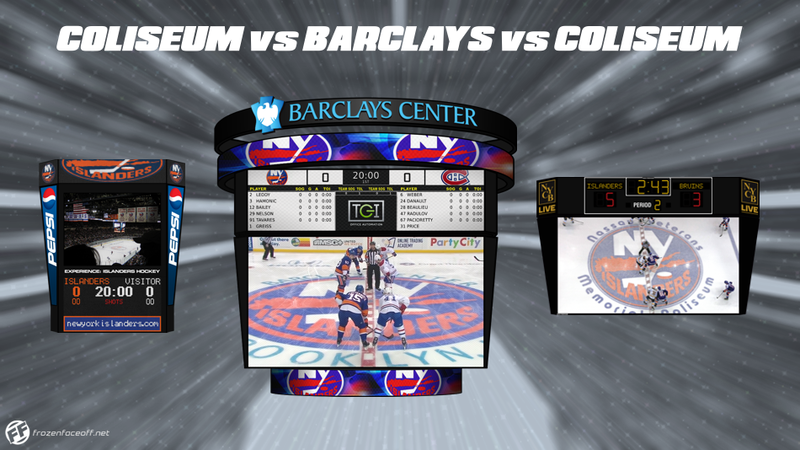 Check out the new Nassau Coliseum scoreboard here.